Hey guys, I'm wanting to try out a GBBR, I'm considering the G&G series, just simply because of the price. How's the reliability of the Gbb CM16s? Has anyone had it break on them in a game? Just general things. From what i hear they are fairly reliable. Mainly because they have much fewer moving parts compared to a WA/WE etc. Would say they are a stepping stone gun really. Little recoil (compared to other GBB), less maintenance (still needs it though), and less realism. Peformance wise though i havnt heard too many bad things. So why do Dress up as if you Military? GTF Uniform of Boy! The point of GBB is realism and FUN! Also they have much more realism compared to AEGS. sorry for a small hijack, but wasn't there news that a GBB FN2000 would be coming out? or was I just dreaming. and the Point in it was what? Thanks for the responses guys. 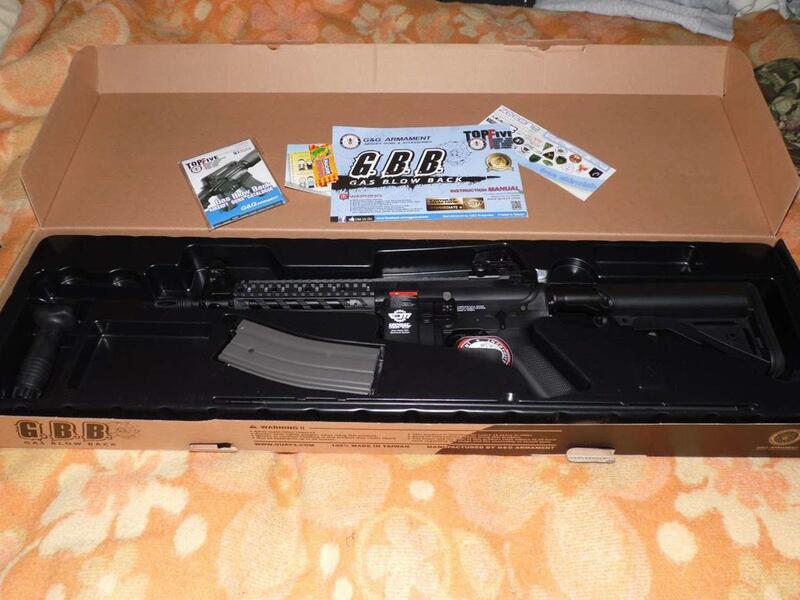 Now, I've got a King Arms M4 on the way (AEG) so, would it be possible if I get this GBBR, take the gas blow back mechanism out of the Cm16, and place it into the King Arms? I know I'll just be paying £100+ for the mechanism, but I can put the King arms' gear box into the CM16 body, incase someone doesn't want to use a rental gun at a site. Through cadets I have the opportunity to shoot an LSW, so there are ways to get past that.